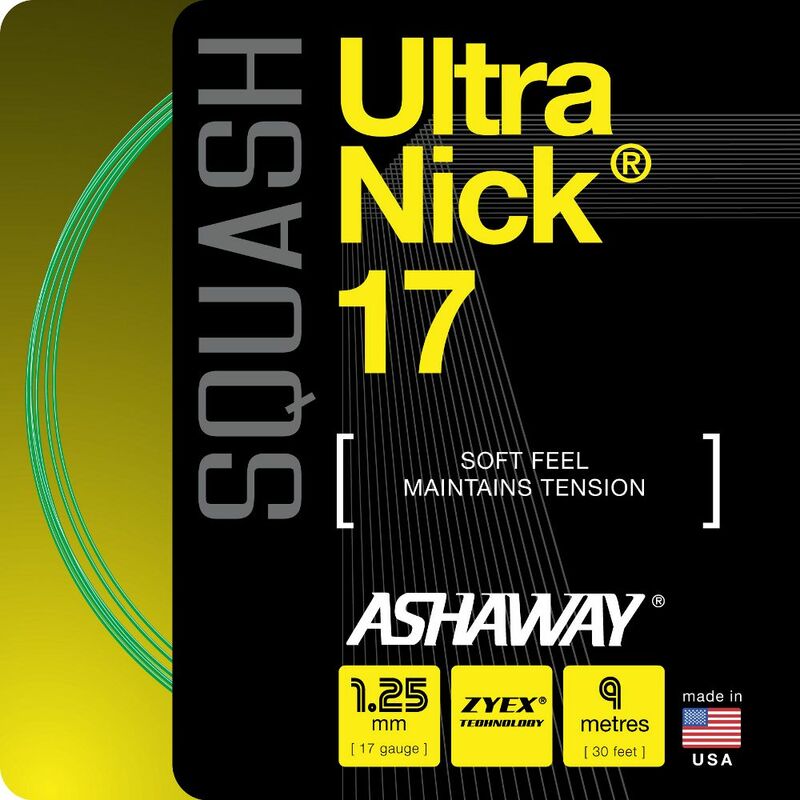 The Ashaway UltraNick 17 squash string is used by the world’s top players, including Nick Matthew, David Palmer and Ong Beng Hee. The string features 1.25mm in diameter for increased durability, Zyex multifilament core for increased power and resilience, and textured surface for enhanced control and spin. It is recommended for players who seek powerful, lightweight and durable string with soft feel. It comes in a 9 metres set. for submitting product information about Ashaway UltraNick 17 Squash String - 9m set We aim to answer all questions within 2-3 days. 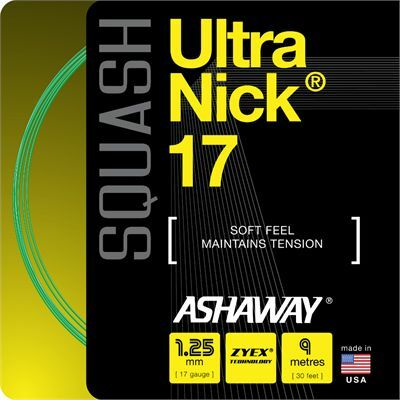 for submitting product information about Ashaway UltraNick 17 Squash String - 9m set. We aim to answer all questions within 2-3 days. If you provided your name and email address, we will email you as soon as the answer is published. for submitting product review about Ashaway UltraNick 17 Squash String - 9m set.